A host of tino rangatiratanga flags, symbolising Māori self-determination, fly above this hīkoi (march) along Auckland's Queen Street in March 2011. The Foreshore and Seabed Act passed in 2004 was repealed in 2011. 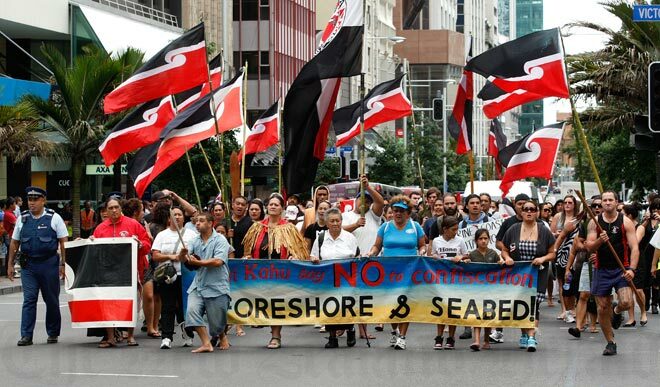 The replacement legislation required Māori to prove customary title to the foreshore and seabed, which disappointed many iwi and led to this protest.